A truly epic and once-in-a-lifetime trip through some of the most rugged, beautiful and remote places on earth while traversing the Pamir Highway, the least-visited, but one of the most beautiful, mountain ranges in the world. See multiple cultures and lifestyles spread throughout gorgeous mountain valleys in an area of the world that has remain well-hidden to outsiders. A land of towering peaks, turbulent rivers and fascinating people, this tour will easily be on one of the most amazing journeys you are ever likely to make. We begin our Pamir Highway tour on arrival in Dushanbe, where we will be met and transferred to our hotel before setting off to explore this modern city. 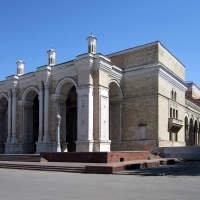 We will make visits to the National Museum of Antiquities of Tajikistan to view its excellent archaeological collection, the spectacular Hissar Fortress and Madrasah Kukhna, as well as the Gurminj Musical Instruments Museum. After dinner we will walk around Independence Square where we will see the flagpole has been entered into the Guinness World Books of Records as the tallest flagpole in the world, a monument to the founder of Tajikistan: Ismail Somoni, and the building of the biggest library in Central Asia with nine floors and over 11 million books. This morning on our Pamir Highway tour, we set off east towards the Pamirs and Kalaikhumb driving through stunning mountain scenery with small rural villages dotted along the way. 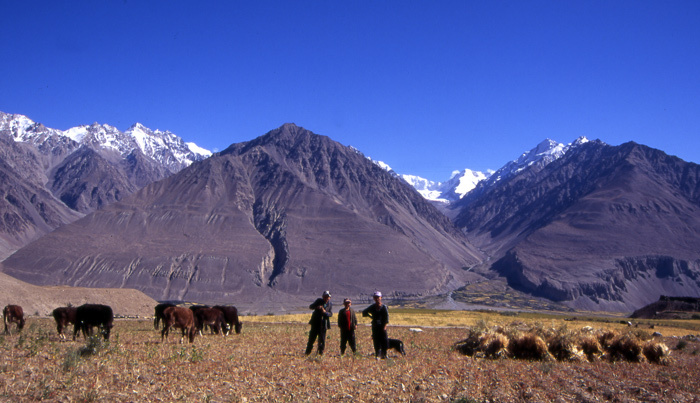 Communities and villages in the Pamirs are isolated and separated from each other in valleys with different villages often speaking different dialects, even though they may not be far off from each other. We will cross the Shurobod Pass, arriving in Kalaikhumb in the early evening. Overnight in local guest house. 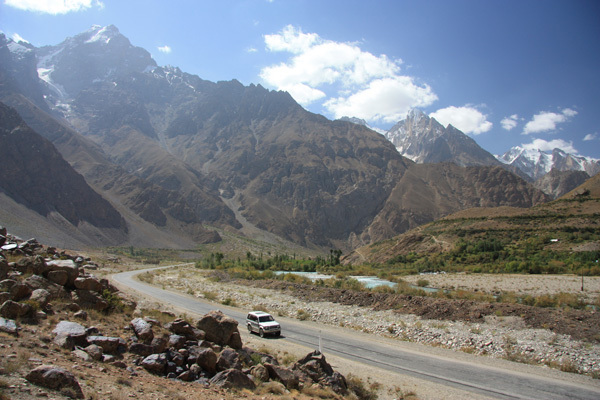 After breakfast this morning on our Pamir Highway tour, we will begin the long and interesting drive to Rushan, located at an elevation of nearly 20k feet, arriving in the afternoon where we will overnight in a homestay. 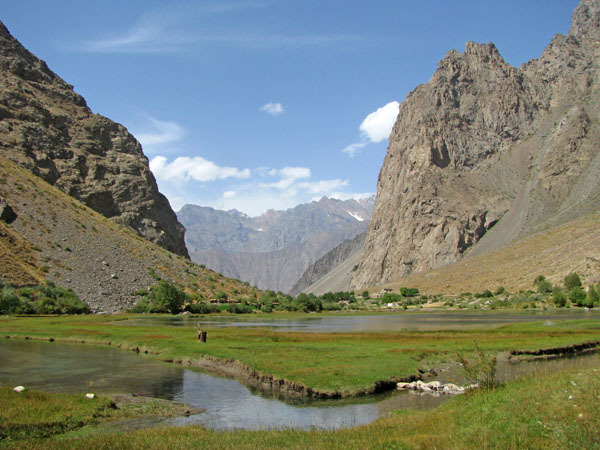 The following day on our Pamir Highway tour, we will drive to Geisev Valley, in the northwest Pamirs, and cross Bartang River by foot bridge and meet our vehicle on the other side. The Bartang Valley, means ‘narrow passage’, is one of the wildest and most memorable valleys in the western Pamirs and looks different at every turn from canyons to desert scenery and snow covered peaks. Just beyond Bhagoo village it is a mostly gently uphill drive, for about 8km to the upper of three lakes. The abundant vegetation, the gnarled trees, the lakes and the ever-changing river create a very special and peaceful atmosphere, ideal for a short break without too much physical effort. 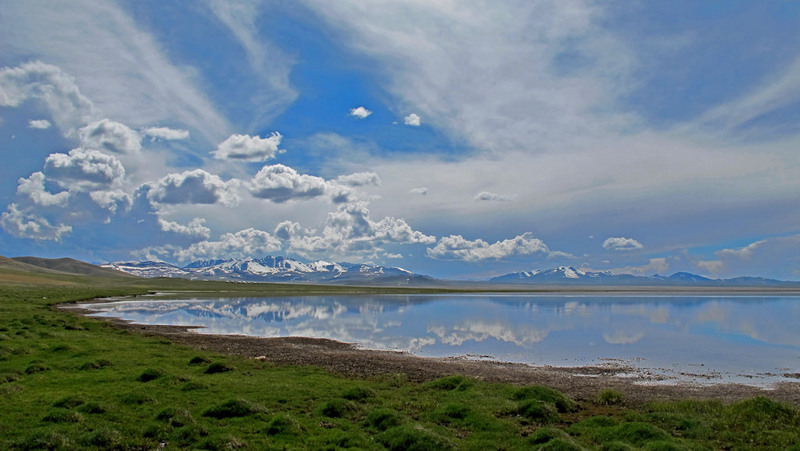 This route passing lakes and rivers traverses some of the most magnificent scenery in the Pamirs. 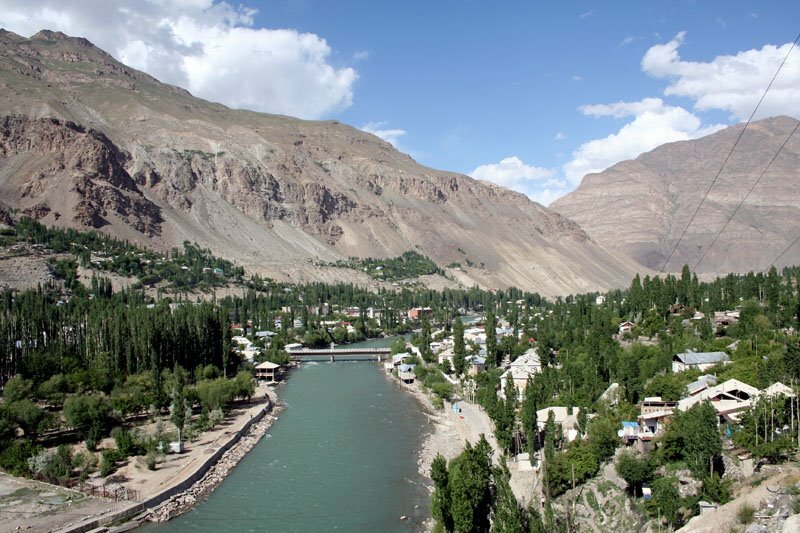 We will continue on to Khorog, the only ‘real’ town of the Pamirs and the capital of the Gorno-Badakshan Autonomous Oblast, through more superb scenery, alongside the Panj River, which forms the border with Afghanistan. There should be time to visit Khorog’s Botanical Gardens, which are 5km east of town and holding some very attractive views, and a stroll through the elegantly designed central park. Overnight in Lal Inn or similar. 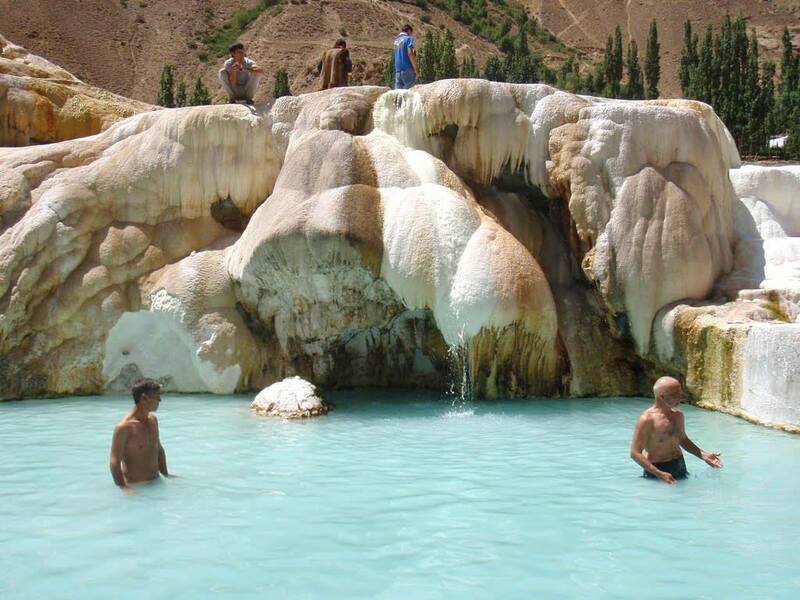 This morning on our Pamir Highway tour, we will make a short drive to the impressive-looking Garm Chashma hot springs. The impressive exterior of the hot springs resembles a giant iced cake and inside you can enjoy a dip in the boiling hot waters which are rich in sulfur content and are believed to have healing powers. 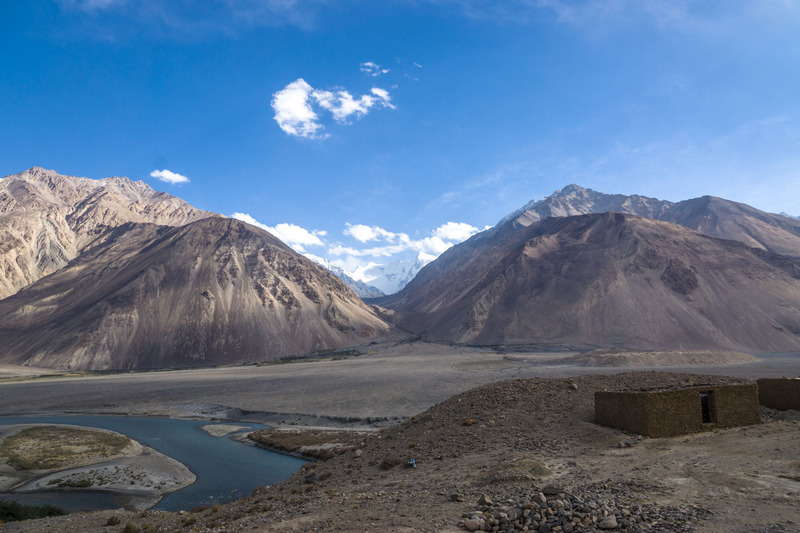 From here, we enter the Tajikistan half of the Wakhan Valley (shared with Afghanistan) and pass regional gem mines mentioned by Marco Polo. The most famous mine is Koh-i-Lal ruby mine which is visible from the road. We will spend the night in the large village town of Ishkashim and stay in traditional-style guesthouse. We set off today to visit the nearby village of Namadguti to visit the Khakha Fortress. 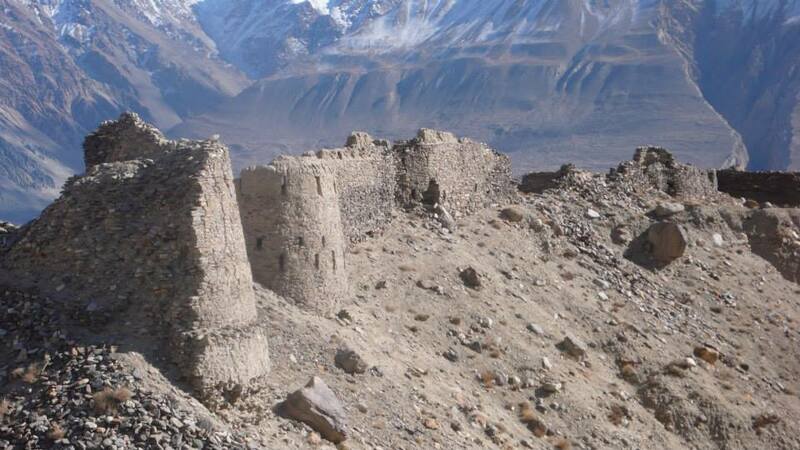 The impressive structure was built with clay and stone dating back to the Kushan era in the 4th century, it was fortified by 56 towers with gun slots and meant to secure the western Pamirs area. There are many forts in the area and we will also pay a visit to the grandiose Yamchun Fort, one of the most impressive of them where watchtowers still exist among the backdrop of stunning mountain peaks. We then venture to the nearby Bibi Fatima Hot Springs, named for the Prophet Mohammed’s sister and where local women believe they can increase their fertility. 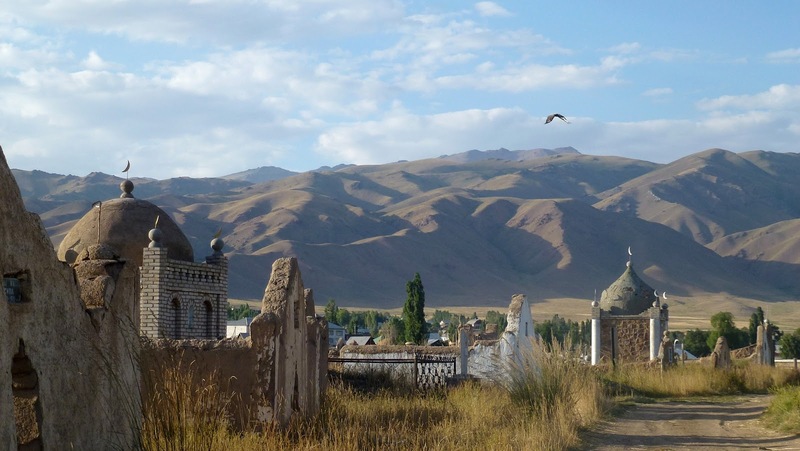 Driving along the scenic landscapes on the border between Tajikistan and Afghanistan, we will make a stop at the 4th century Buddhist stupas in the small village of Vrang. Overnight in a homestay. 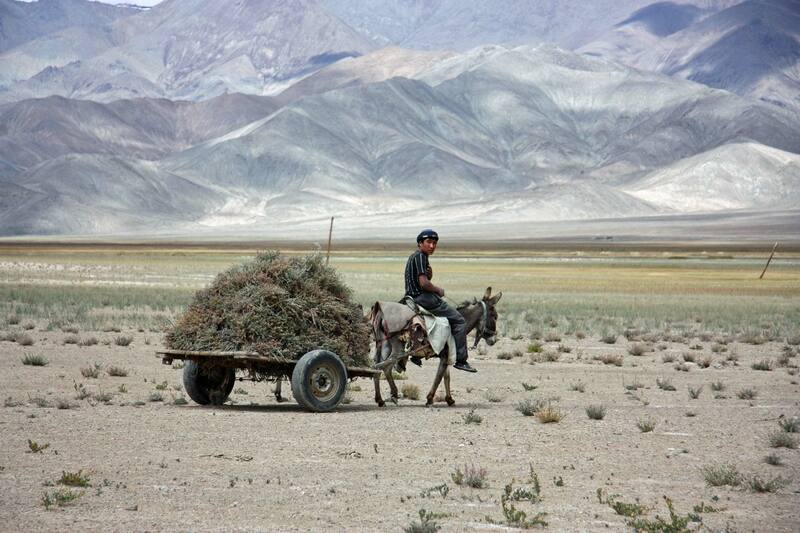 This morning on our Pamir Highway tour, we head into East Pamir towards Murghab. The journey will take up through spectacular terrain on the road up to Murghab, passing the settlement of Mamazair, a small town beside the Murghab River at an altitude of nearly 12,000 feet. Later we anticipate arriving in Murghab in the early afternoon for lunch. Although lacking in real attractions, Murghab will serve as our base for a night as we explore the area a bit. The 24,000+ foot high Chinese peak of Muztagh Ata is visible to the northeast of town. Overnight in homestay. 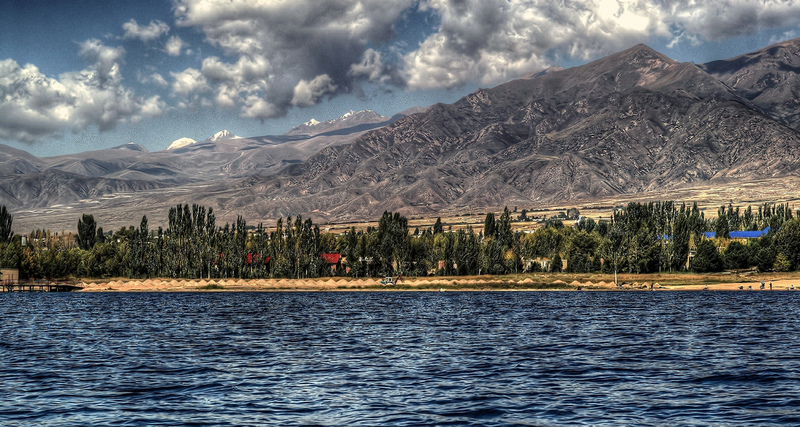 Today we will head to the gorgeous Karakul Lake, lying within Tajik National Park. 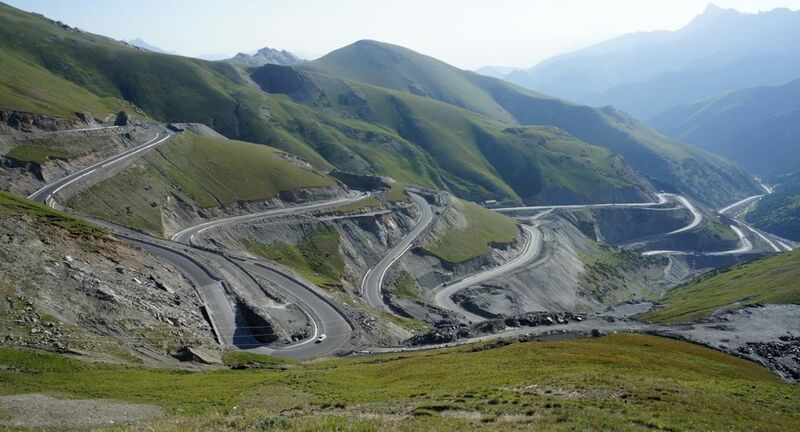 The drive to reach Karakul will take us through some of the most dramatic scenery of the trip as we cross the Ak-Baital Pass (15,272 feet) which is the highest section of road in the former Soviet Union. 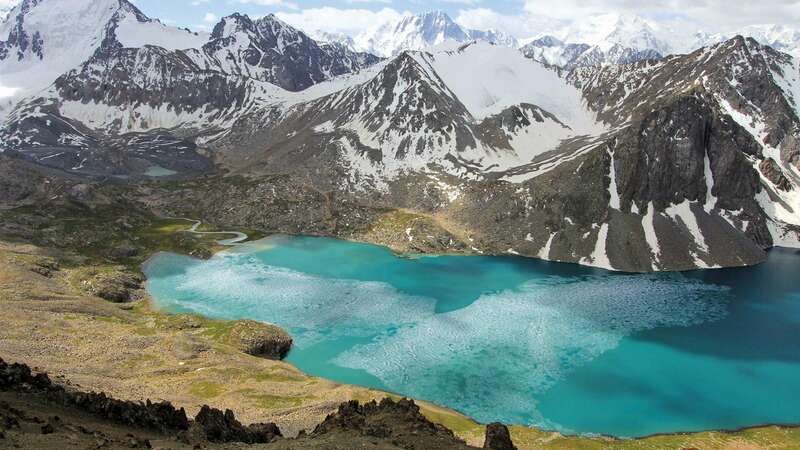 The high pass of Ak-Baital will get you closer to the moon than perhaps you’ve ever been, and the landscape is lunar barren and otherworldly with beautiful blue water lakes surrounding the area under the high, wide presence of a brilliant blue sky. 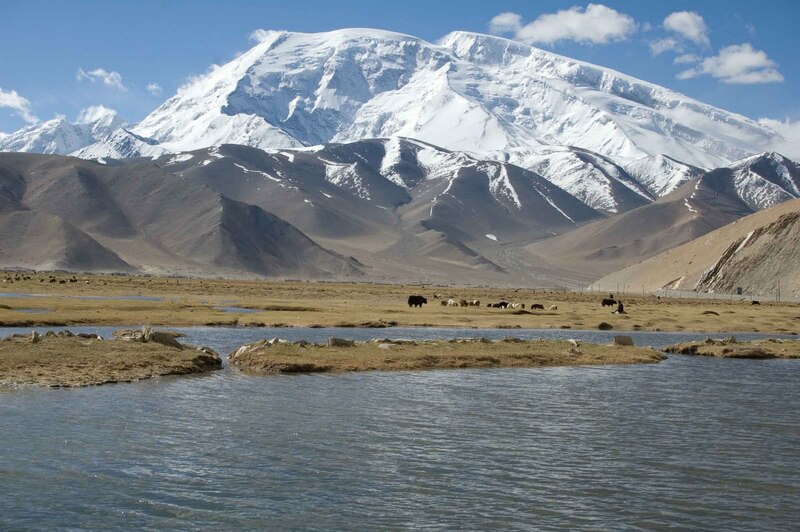 We descend to Karakul Lake, the highest lake in Central Asia at nearly 13,000 feet above sea level. Although far too high to support any aquatic life, there is a rich bird life present around the lake, with its islands and marshes that have been identified by BirdLife International as an Important Bird Area (IBA) because it supports significant numbers of various bird species, either as residents, or as breeding or passage migrants. The remainder of the day will provide us time at leisure to walk around this wonderful lake and admire the peaceful surroundings. Overnight in Homestay. A long and varied day of driving approximately 174 miles (285km) today will take us through our final stretch of the Pamir Highway across the Kyzylart Pass (14,042 feet). 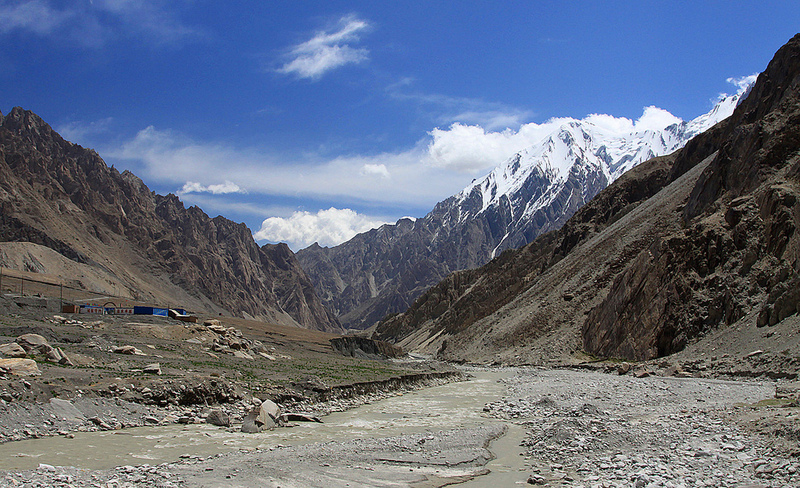 Rugged and dry, Kyzylart Pass essentially forms the border between Tajikistan and Kyrgyzstan. Border formalities take place shortly after crossing the pass, with 20kms of ‘no man’s land’ to cross. We will make sure to have extra layers of clothes on hand for this area of the trip, because even in the dead of summer we could see sub-zero temperatures through the border areas. Crossing into Kyrgyzstan our drive will offer a stark contrast as we encounter lush farmlands and small villages on this side of the mountains, instead of the stark high-altitude plateau we recently crossed in Tajikistan. En route we will cross the Taldyk Pass (11,860 feet) in the Alai Mountain Range and enjoy some beautiful views. Depending on road conditions and travel times, we expect to arrive in Osh, Kyrgyzstan’s oldest city, early in the evening. We will have some leisure time to explore this sleepy town or simply relax after our 7-hour drive. 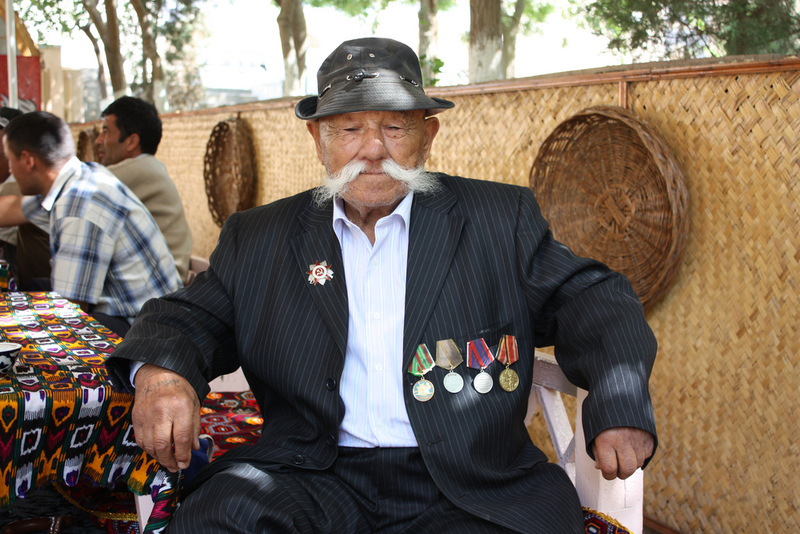 This morning on ouron our Pamir Highway tour, we will set out to cover about 230 miles (370km), first heading through Uzgen, a small town of about 50,000 people a little over an hour from Osh. In the 8th and 9th century, Uzgen was a transit point on the Great Silk Road. 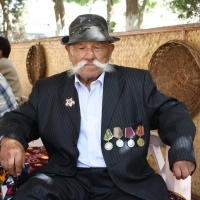 Today the town is multi-cultural with Uzbeks making up about 90% of the population and the remainder being Kyrgyz, Turks, Russians and Tartars. 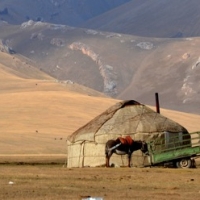 Driving along the along the picturesque and mountainous Osh Highway we will traverse through the stunning and pasture-filled Suusamyr Valley, where it is still common to see traditional yurts off road and villagers selling kymys (fermented horse milk) by the roadside. 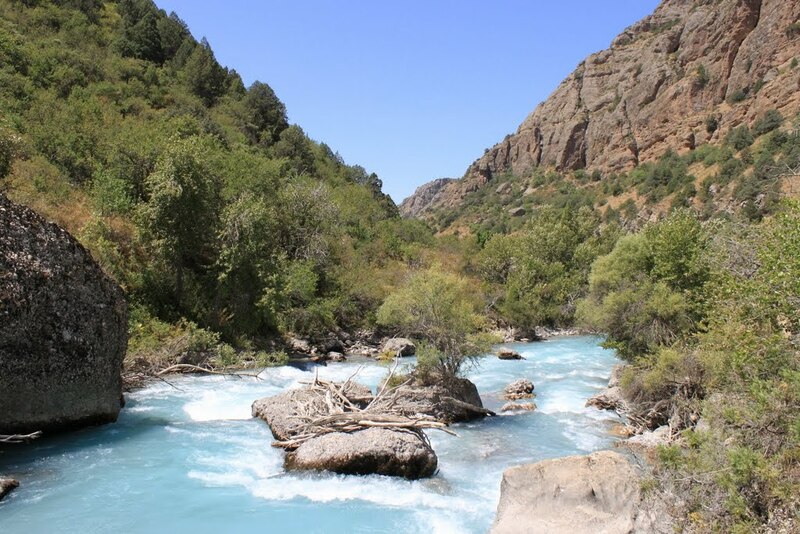 Later we will arrive at the Chichkan Gorge, and if time permits, we will spend some time enjoying the area where we can take hikes, ride horses or simply meet the local shepherds who still adhere to age-old traditions and keep customs and the way of life of their ancestors. Overnight Oson Hotel. 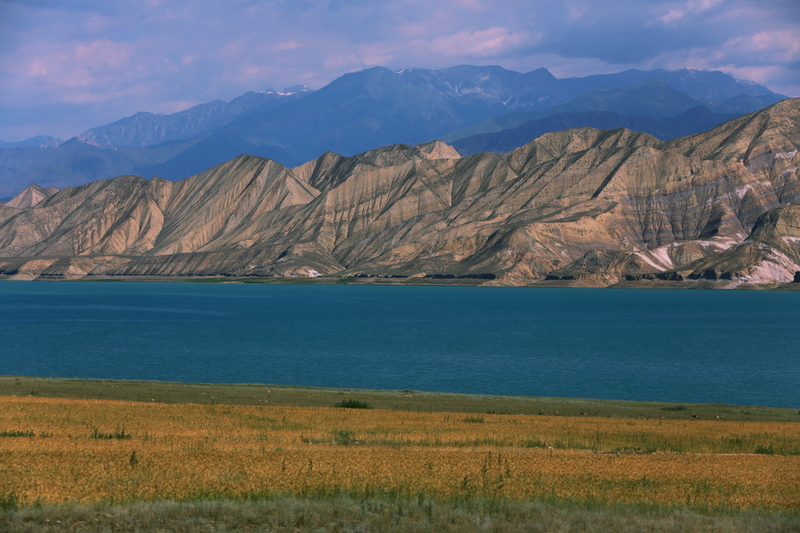 This morning on our Central Asia tour, we will head for the sublime Song Kol Lake, which is known to be the most beautiful area in Kyrgyzstan. The lake itself at nearly 10,000 feet above sea level and with a surface area of 100 square miles, is one of largest high alpine lakes in the world. 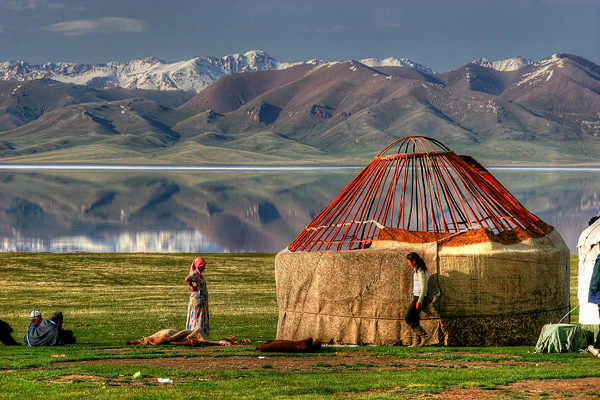 This area is truly atmospheric with yurts dotted around the lakeside belonging to herders from nearby villages. We will have the remainder of our day free to explore this vast and gorgeous area. Overnight in yurt. 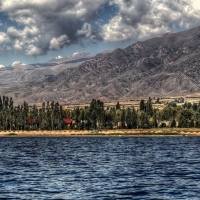 Today on our Central Asia tour, we will drive to Cholpon-Ata, located on the north side of Issyk-Kul Lake, the largest and most beautiful lake in Central Asia. Although small with about 12,000 residents, Cholpon-Ata is a wonderful area with views of the imposing alpine ranges of the Tian Shan across the lake and the the open-air Museum of Stone Inscriptions with about 2000 petroglyphs dating from 800 BC to 12th century AD. 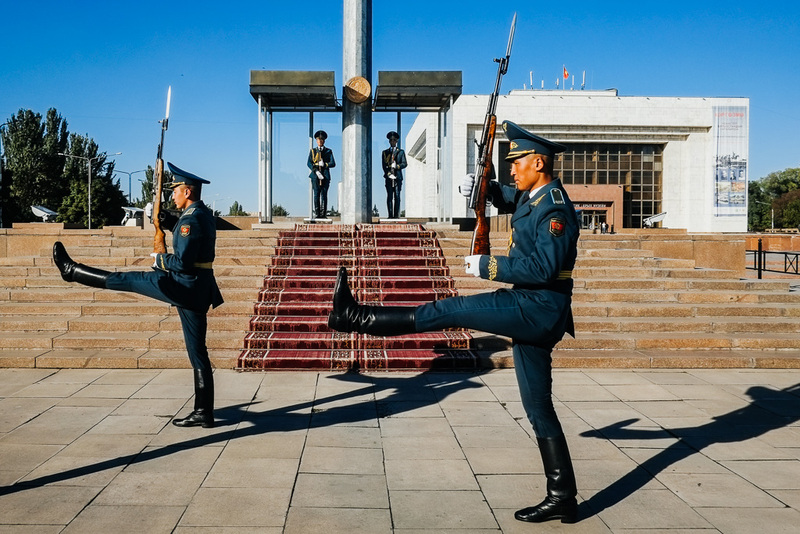 We drive this morning to Bishkek, the capital of Kyrgyzstan, where we will visit, among other places, the lively Ala-Too Square where we may see the changing of the guards, and its adjacent Bishkek National History Museum, where we may watch the changing of the guards. This multi-level museum is an engrossing place to learn an overview on the storied Kyrgyz history from the Stone Age to the present. Leaving Bishkek this morning we will set out for Almaty. Along the way we will stop in Semirechye, Kazakhstan to view the petroglyphs in Tamgaly with its five thousand rock engravings dating back to the Bronze Age, and in some cases, from the Iron Age and the Medieval. 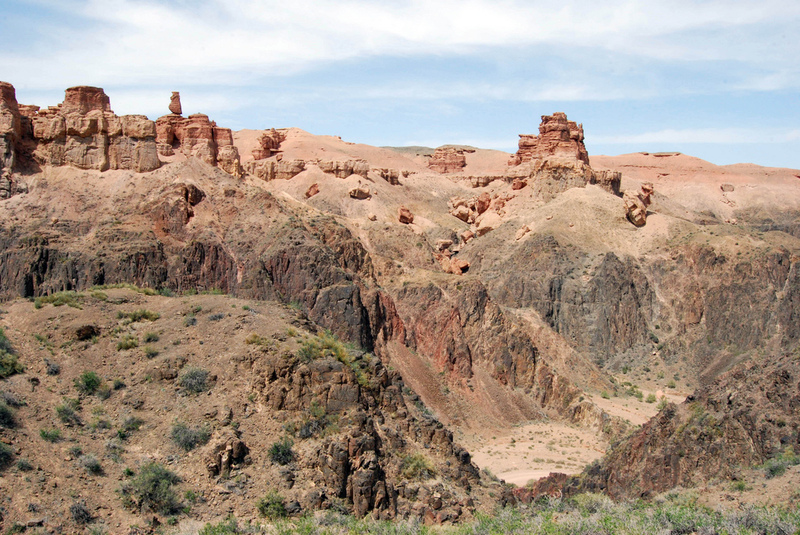 The majority of the 5000 petroglyphs are in the main canyon, but there are a number in the many side canyons. Tamgaly became a UNESCO World Heritage Site in 2004. 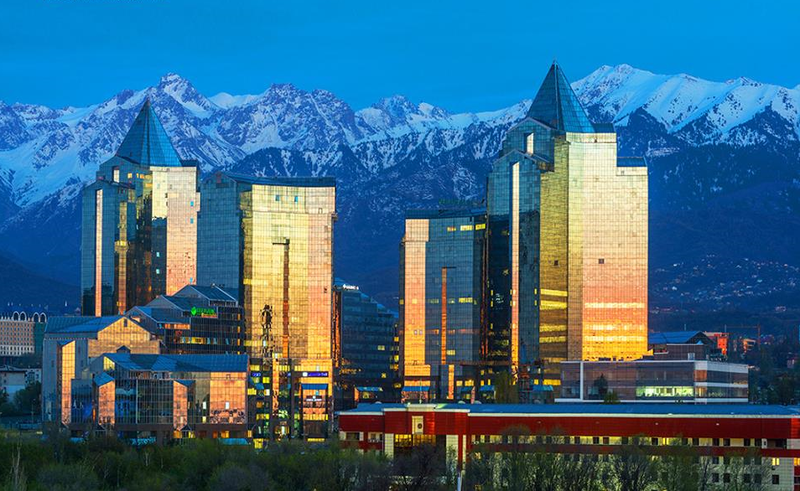 After this interesting visit, we will continue on to Almaty where we will have the remainder of the evening at leisure. Overnight in Hotel Astra in Almaty. Leaving very early this morning, we will set off from Almaty on a long day trip (124 miles each way) to the breathtaking Charyn Canyon. Surrounded by virtually lifeless desert in Charyn National Park, Charyn Canyon is known as the mini Grand Canyon of Central Asia, and a truly stunning sight to behold with its multi-colored gorges and rock formations resembling castles. The area is protected and acts as an oasis in the harsh environment for wildlife such as groundhogs, lizards, snakes, and foxes. 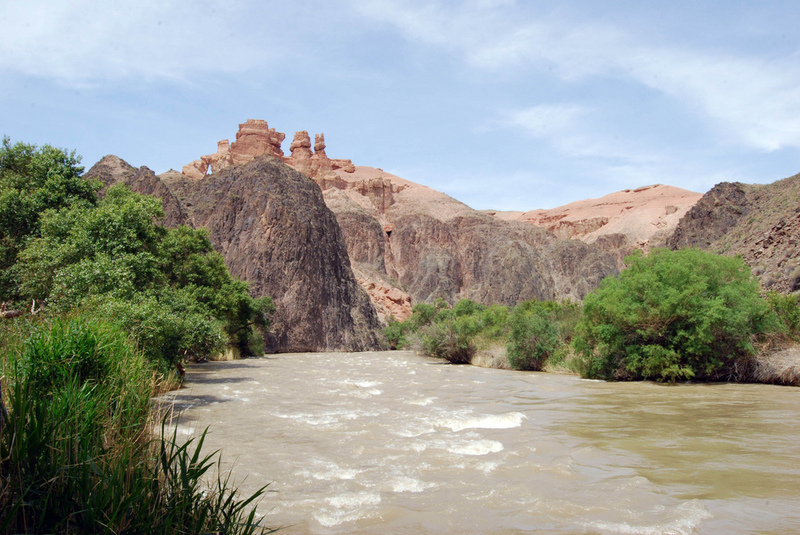 We will take a small hike through the Valley of Castles area passing the mighty fairy-tail canyon sculptures carved by nature over 12 million years and reach the fast and cold mountain river of Charyn, home to a fish endemic to the region called the naked osman. 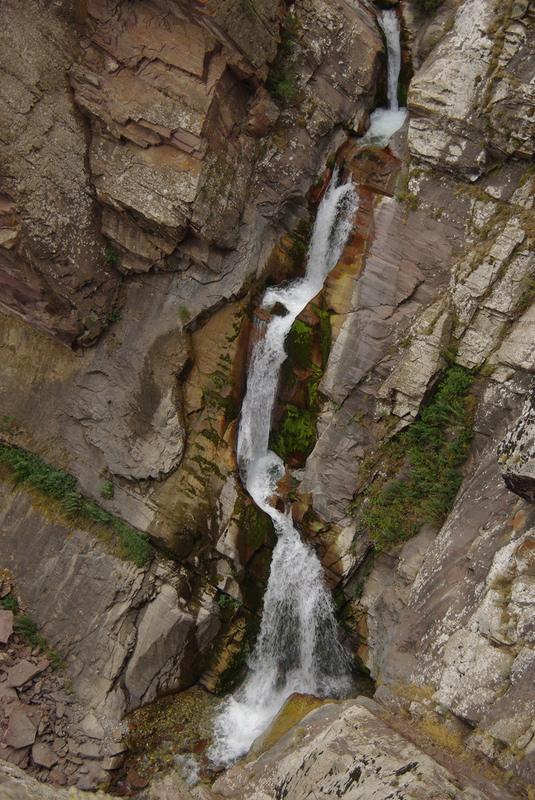 After this adventurous day exploring the canyon, we will make our 4-hour drive back to Almaty for the evening. Overnight in Hotel Astra in Almaty. 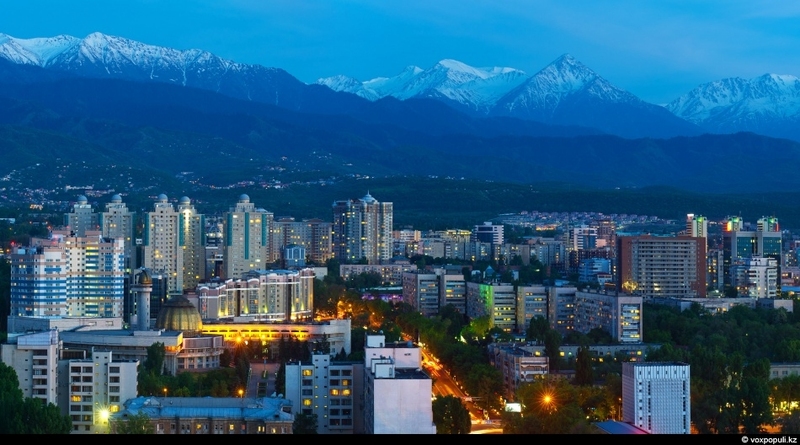 Today on our Central Asia tour, we will set out to explore Almaty visiting, among other places, the Park of 28 Panfilov Guardsmen, where we can admire some of the memorials dedicated in memory of the Great Patriotic War fallen heroes; the Russian Orthodox, Ascension Cathedral, the second largest wooden structure in the world that was completed in 1907 and built without a single nail; the Green Bazaar, a atmospheric and authentic local produce market; the Republic Square, which spans the size of two football fields and flanked by a magnificent ensemble of modern architecture throughout; Kok-Tobe, the highest point in Almaty, where we will take a cable car to the hilltop-viewing platform for a sweeping panorama of the city. 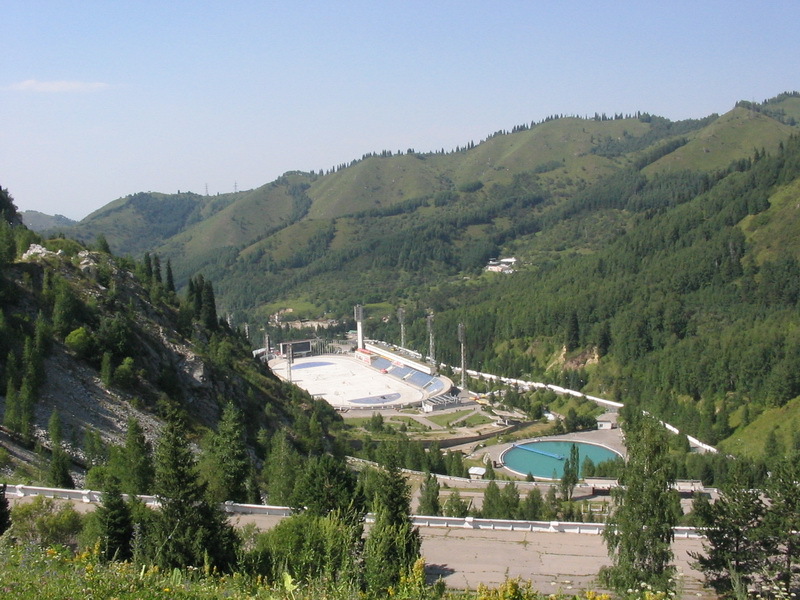 Next we will pay a visit to the Medeu Dam, which was designed to protect the Almaty from devastating mudflows after the catastrophic mudflow of 1921, brought on by heavy rainfall, killed 500 people out of Almaty’s 45,000 population at the time, and destroyed much of the city. The construction has three successive levels of height. By the dam is a concrete staircase, consisting of 842 steps, giving good views of the Medeu Skating Rink, which was featured in the 2011 Asian Games and is the highest skating rink in the world. Later we will go to railway station to catch our overnight train to Tulkubas. We will be met in the morning at the train station in Tulkubas and transfer to the Luda Guest House for the next two nights. 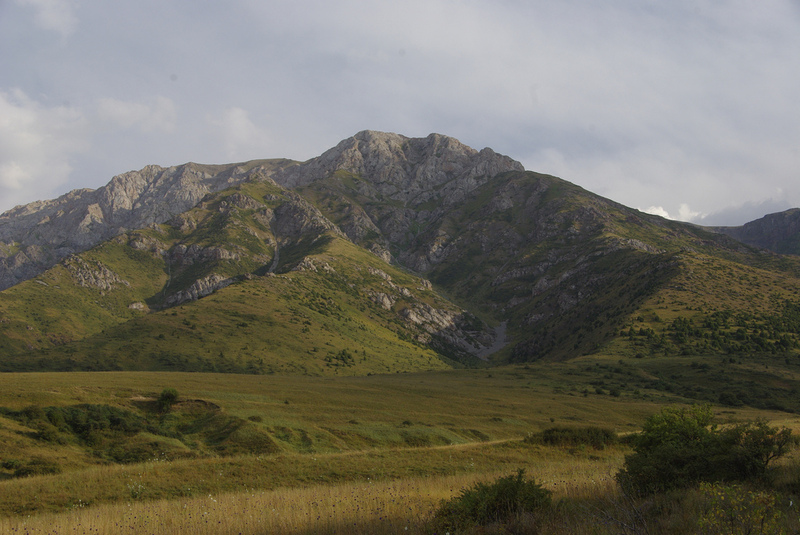 We will be spending two days exploring the UNESCO biosphere reserve of Aksu-Zhabagly. Established in 1926, it is the oldest nature reserve in Central Asia and located in the northwestern part of the Tien Shan mountain range in southern Kazakhstan near the border with Uzbekistan. 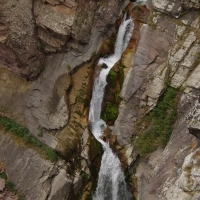 Situated within mountains and hills and dotted with pretty alpine meadows, its count of species is as impressive as the terrain, with some 238 birds (nearly half of all Kazakhstan’s species), 52 mammals (44 of which are listed as endangered) and over 1200 different plant species thrive within this protected park. The most famous animal in the reserve is, without a doubt, the snow leopard. Sadly, the chances that you will spot one here are very low. The same goes for the Eurasian lynx which hasn’t been seen in the reserve for many years. Somewhat easier to observe animals are mountain rams, goats, marals, roe deer, bears, porcupines, mountain martens, ermines and the adorable Menzbier’s marmot. For those interested, in an almost inaccessible part of the reserve ancient rock carvings can be found from the Kaskabulak people. Overnight both nights at the Zhenya Guesthouse. Leaving the reserve this morning, we will drive to the Uzbekistan/Kazakhstan border and enter Uzbekistan. 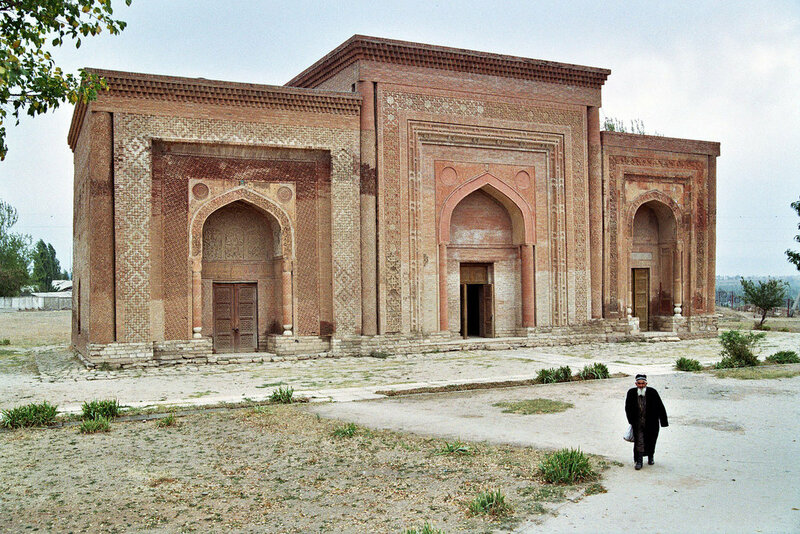 We will drive to the ancient 4th century town of Turkestan, stopping en route at the ruins of Otrar, a ghost town, and to visit the stunning 12th century Arystan Bab Mausoleum. The mausoleum was built over the tomb of the famous religious mystic Arystan Baba, who lived in the ХІІ century and now it is a place of pilgrimage for Muslims. After lunch, we will continue to Turkestan to visit another important a scenic mausoleum, the towering complex of Khoja Akhmet Yassawi, a UNESCO World Heritage Site that was built between 1389 to 1405 but which was restored and improved by the Mongol ruler Timur two hundred years later. 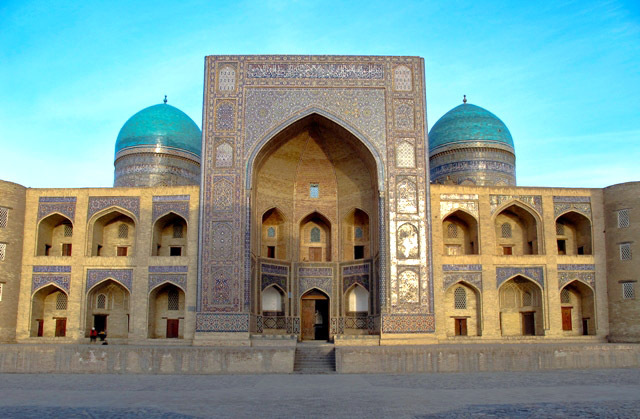 It is one of the largest and best-preserved constructions of the Timurid period and is revered for its remarkable architectural design and the mosaic tiles. 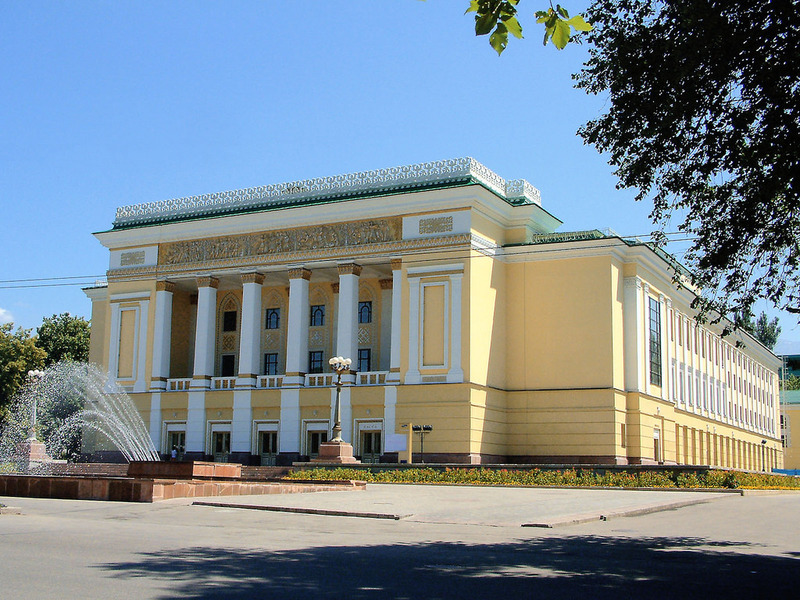 We will continue on from Turkestan to Tashkent when we will overnight at the Grand Nur Hotel. 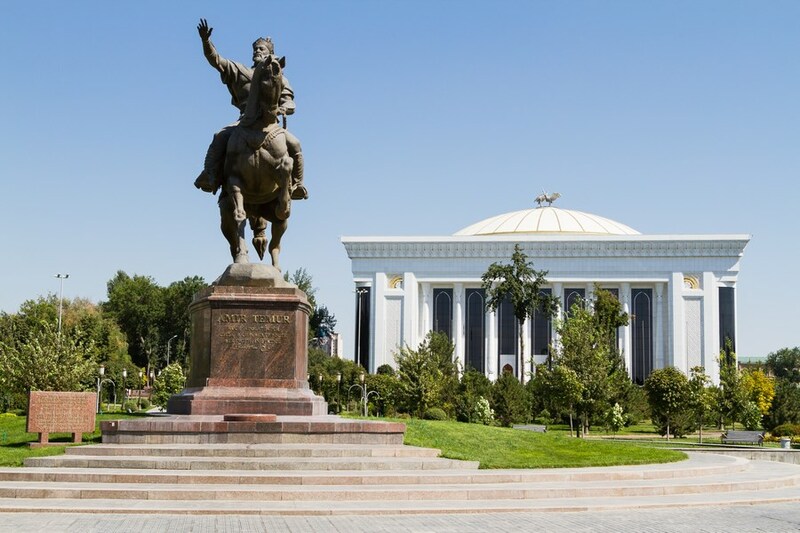 We will begin this morning with a tour around Tashkent, the vibrant capital of Uzbekistan and the fourth largest city in the former Soviet Union with a diverse population of about 3 million people including Uzbeks, Tajiks, Russians, Crimean Tartars, Koreans and Bukharan Jews. Some of the sights of the day, among many, will be the Old Town and Jewish Quarter and the extensive Shah-i-Zinda Necropolis: The Avenue of Mausolea, a series of grand palatial tombs to the 16th and 17th century. 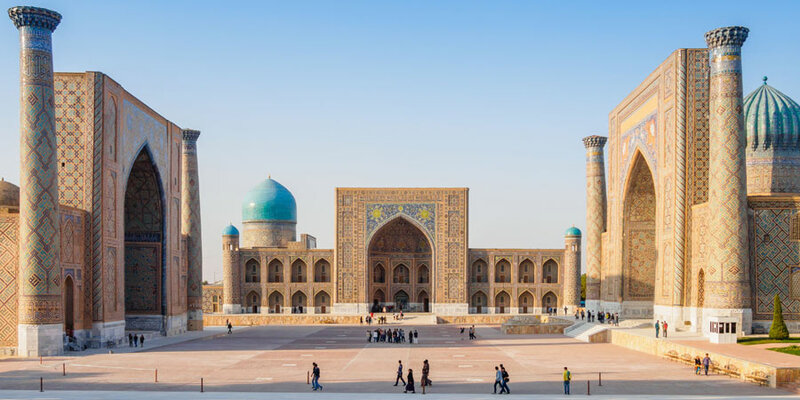 Later we will head to the fabled historical town of Samarkand where the remainder of our day will be at leisure to explore this vibrant and historic city. Overnight at Malika Hotel. 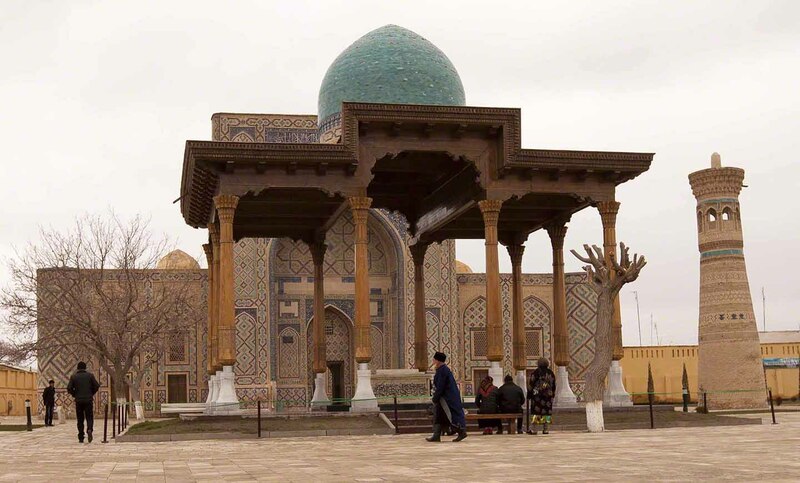 Noted for its central position on the Silk Road between China and the West, and with a history dating back 2700 years, UNESCO-listed Samarkand is one of the most fascinating cities in Central Asia. 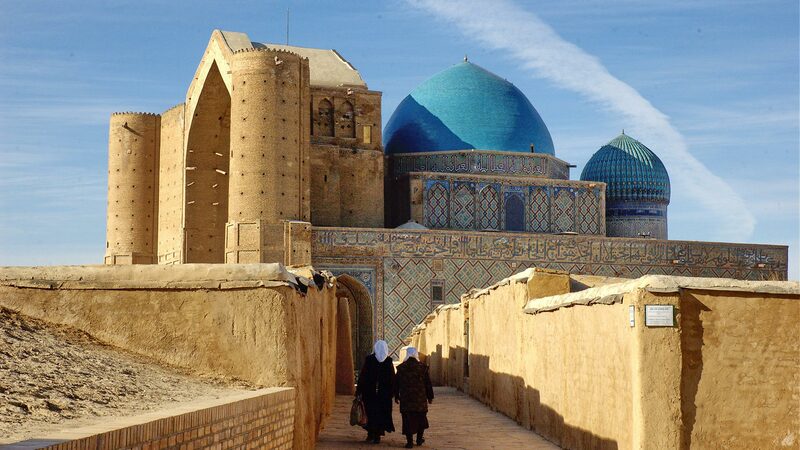 This fabled city is one of the true highlights of our Central Asia tour. We will enjoy a full day tour around the city including visits to the captivating Registan Square with its its three madrasahs (Ulugbek, Shirdor and Tilla Kari) and distinctive Islamic architecture; the beautifully reconstructed Gur-Emir Mausoleum, which also includes the largest piece of jade (greenstone) in the world; and a short trip to the ruins of the Ulugh Beg Observatory, which was built in the1420s by the Timurid astronomer and is considered by some to have been one of the finest observatories in the Islamic world before being leveled by religious extremists. Overnight at Malika Hotel. We will have a historic day ahead as we travel the Golden Road to Bukhara. Stopping off first on our way to see the minaret at Vabkent, one of the most refined works of local architecture dating back to the beginning of its construction from 1196-97. Next we will continue to G‘ijduvon, famous for its local cuisine and is considered to have the best shashlik cooking techniques in the region, for lunch and to visit the beautiful Khoja Abdalkhalik Al-Gijduvani Complex, which was formed around the tomb of the famous Sufi sheikh, the founder of the independent school of mysticism in the region of Central Asia. 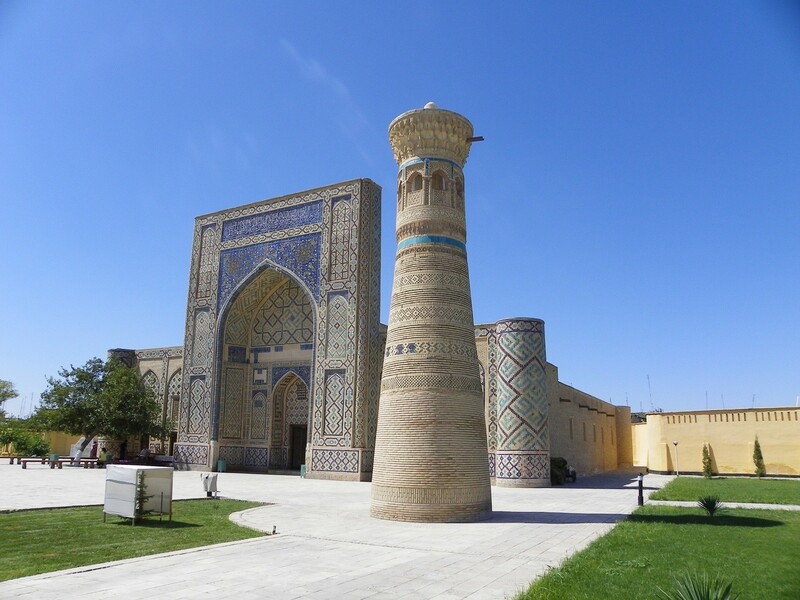 Later we will pay a visit to a traditional pottery workshop before continuing to Bukhara for dinner and an evening at leisure to wander around the captivating city. Overnight at Hotel Omar Khayyam. 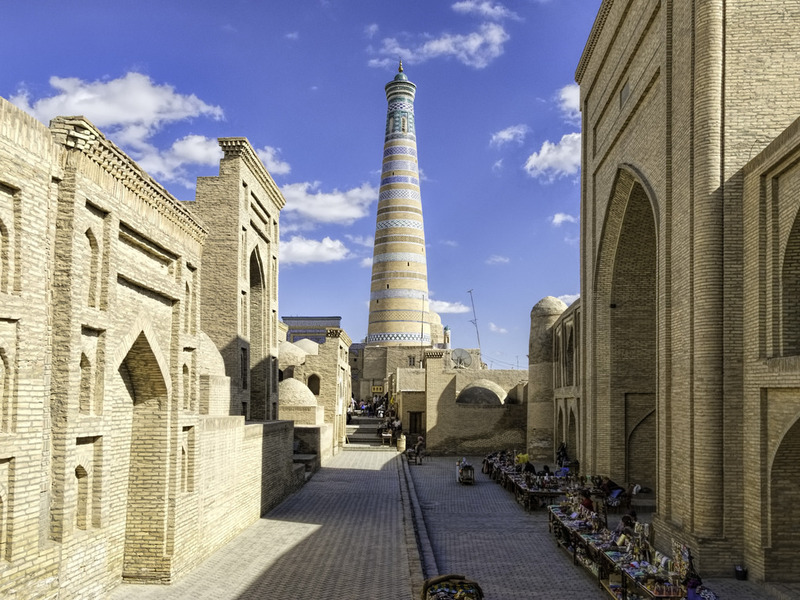 Few cities in the world compare to the ancient UNESCO city of Bukhara. 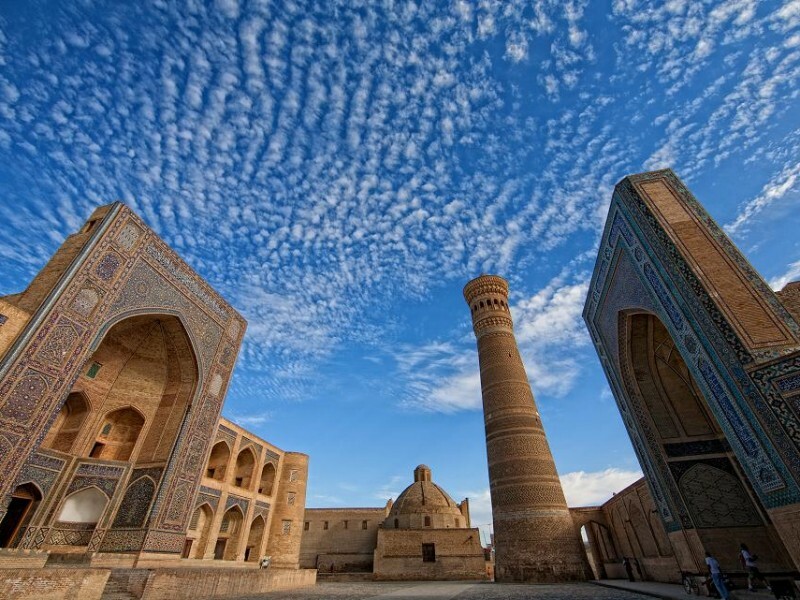 Overflowing with relics from a historical past and absolutely bursting with classical beauty with its 140 architectural monuments, Bukhara is surely one of the most enriching and fascinating cities one can visit and has long served as a center of trade, scholarship, culture, and religion. Today we will begin our long day of exploring with local guides to see various areas throughout this storied town where, among many other places, we will visit the massive fortress of Ark of Bukhara, built around the 5th century AD; the Zindan prison, a once-horrific prison that was full of scorpions and poisonous insects that often quickly killed prisoners from deadly bites and was well-known for its harrowing underground pits for solitary confinement; the 10th-century Ismail Samani Mausoleum, which is one of Bukhara’s oldest monuments; and the magnificent and prominent Kalyan Minaret. Reaching a height of nearly 150 feet, in the times of war the minaret was used as a watchtower to lookout for enemies, and later it was coined ‘Tower of Death’, because until as recently as the early twentieth century criminals were executed by being thrown from the top. The tower also impressed Genghis Khan so much that he ordered it to be spared during his reign of destruction. Overnight at Hotel Omar Khayyam. Frozen in time behind mud walls in the middle of the Kyzyl Kum desert lays the ancient wonders of mystical Khiva, our focal point for a full day of exploration. 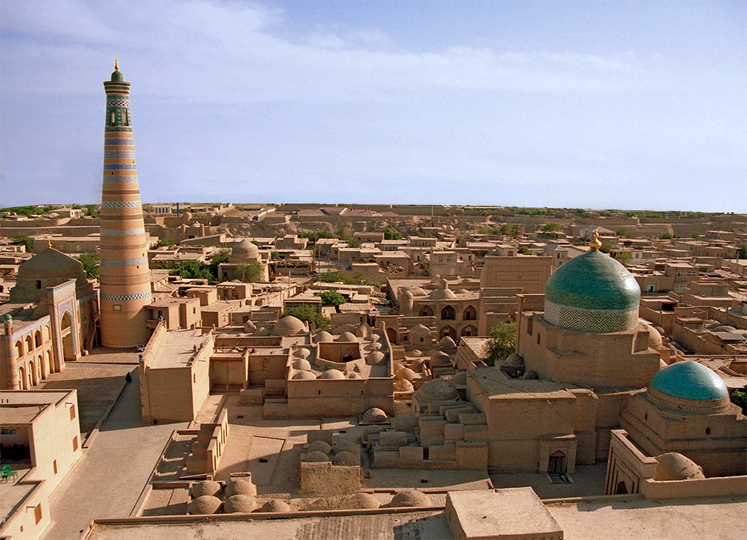 Noted by many to be the “Seventh Wonder of the World”, Khiva is one of the most unique and entrancing cities on the planet, surely to cast a spell on even the most jaded traveler. Armed with highly-experienced local guides, we will step into the past as we thoroughly explore the two distinct sections that make up this city; one being the older Ichon-Qala or Itchan Kala where stunning examples of Islamic architecture were built over the span of 600 years; and the modern Dichon-Qala where both the majority of the population live and where all of the modern buildings exist. Overnight at the Malika Khiva Hotel. 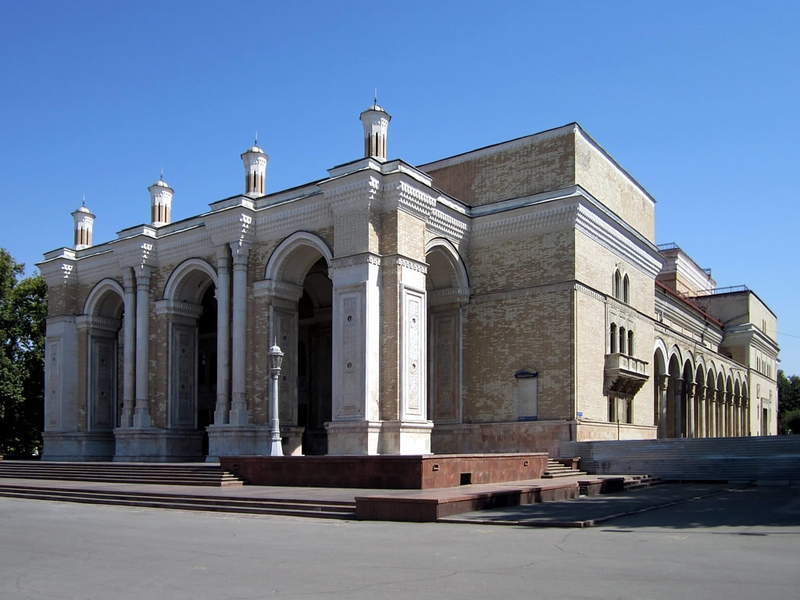 This morning on our Central Asia tour, we will cross the Uzbekistan/Turkmenistan border and drive about 65 miles to the UNESCO World Heritage of Konye–Urgench, our first real stop within Turkmenistan and the last country of our epic journey. 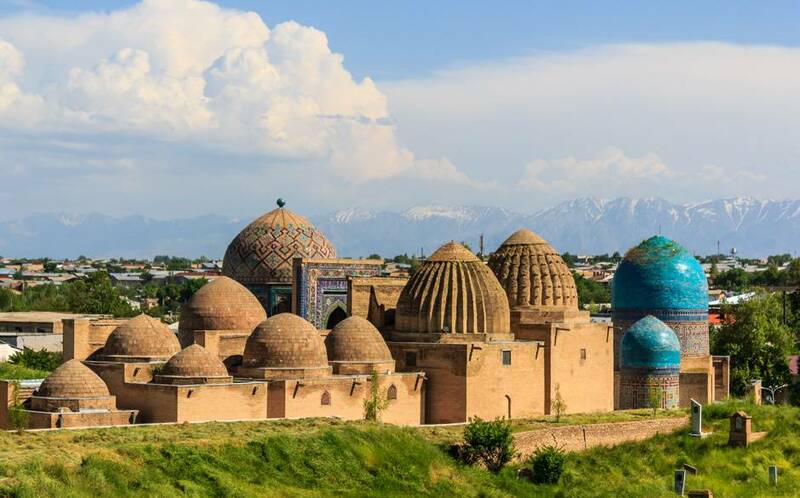 We will explore the surrounding area and admire the minarets and turquoise-tiled mausoleums littering the desert of Konye-Urgench, a testament to the former glories of the Khorezmshah empire. 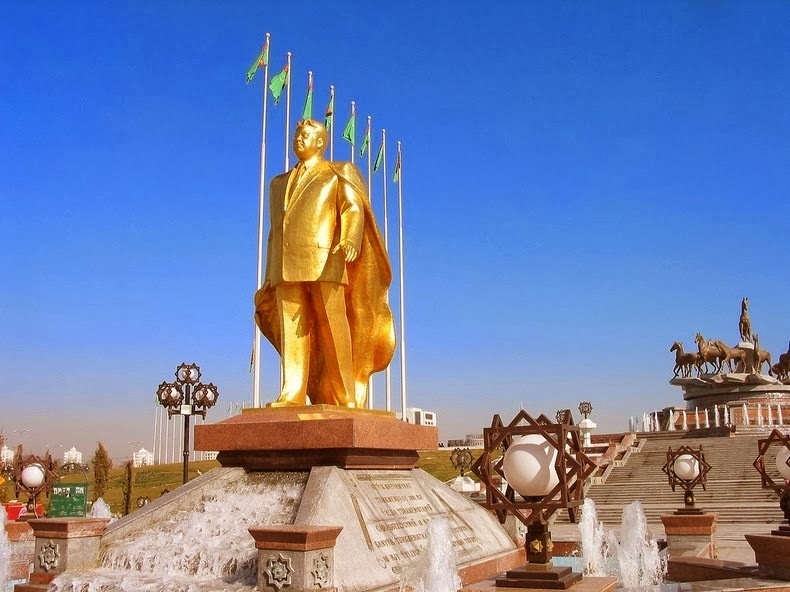 Later we will head to Daşoguz to take an evening flight to Ashgabat (1-hour on Turkmenistan Airlines). Overnight at the Ak Altyn Hotel / Grand Turkmen or similar. 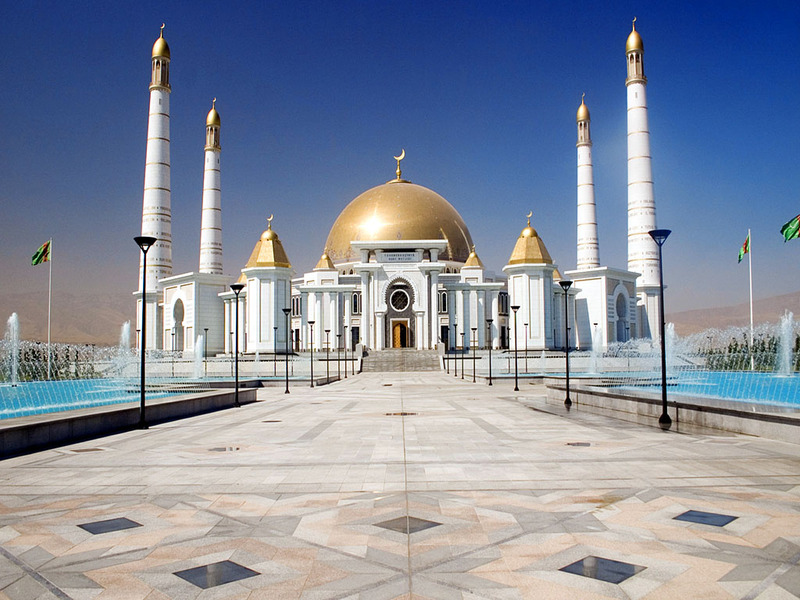 Today we will venture out into Ashgabat to explore its many charms. 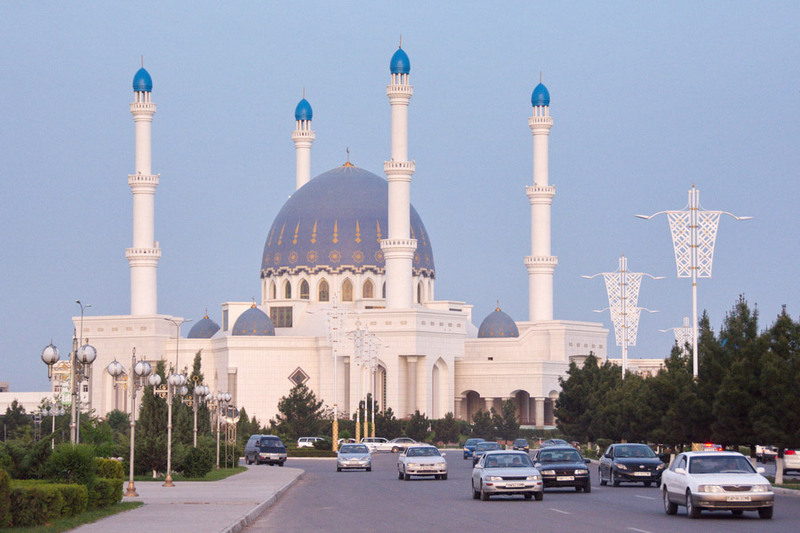 One of the world’s strangest cities, Soviet-style Ashgabat is showpiece city built quickly and mightily with billions of dollars from the proceeds of oil and gas revenue and is loaded with visually-stunning white marble buildings, marble palaces, gold domed buildings, and eccentric monuments and statues — a city that truly looks like nowhere else on earth. 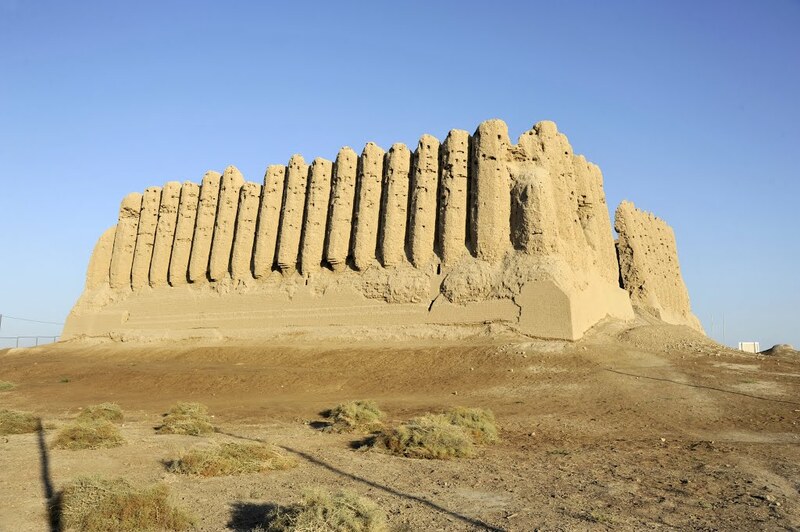 Among the many sites we will visit today, especially appealing will be the UNESCO-listed fortress in the nearby ancient city of Nisa, the remnants of one of the first capitals of the Parthian Empire. This empire is among the most powerful and influential civilizations of the ancient world. 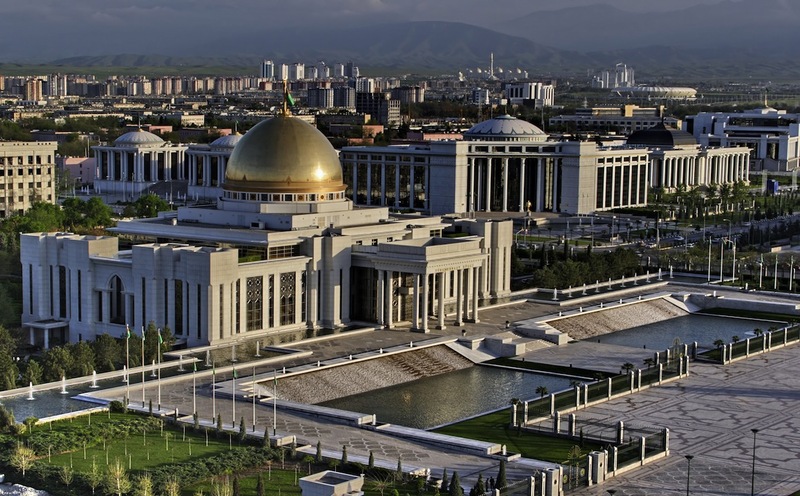 Later we will tour the Ashgabat National Museum of History, housing a bedazzling collection of over 50,000 items, including archaeological finds throughout the country, and visit the 15th Century Seyit Jemaletdin Mosque ruins in Anau. 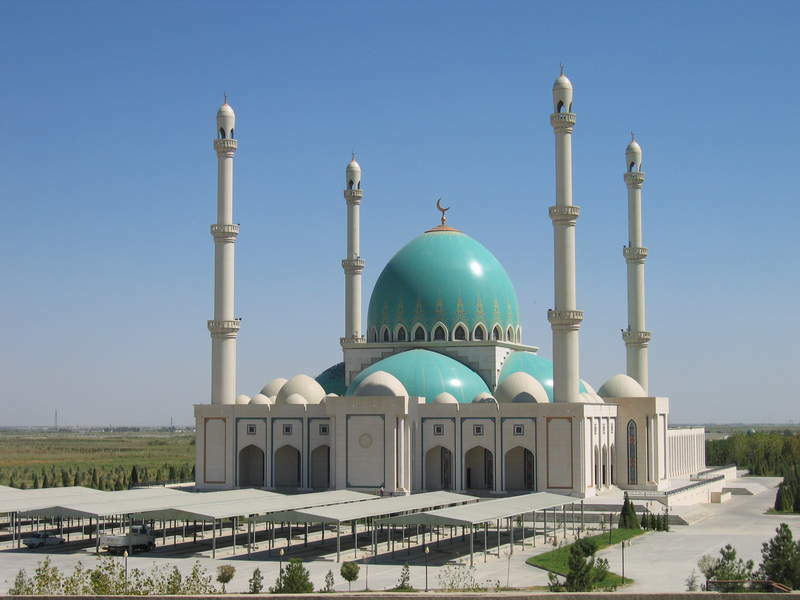 Lastly, we will pay a visit to ruins of Anau mosque (15 century) and the southern and northern hills of Anau (where the 1st archaeological excavations of Central Asia were held in 1904). Overnight at the Ak Altyn Hotel / Grand Turkmen or similar. In the early morning, we will take a short flight to Mary where we will drive to Merv, a once-major oasis-city on the Silk Road and a UNESCO World Heritage Site. 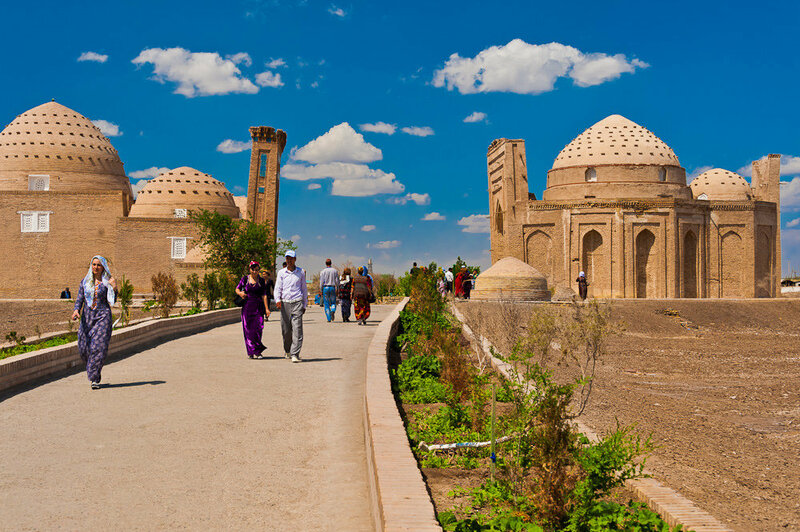 Located at the crossroads of various trade routes and civilizations, Merv came under Persian, Greek, Sassanian and Muslim rule and from the 11th century was the capital of the Seljuk Turks. With a knowledgeable local guide, we will visit, among other places, the majestic and towering Sultan Sanjar Mausoleum built in 1157, and Kys Kala, an unusual windowless castle, nicknamed “The House of Maidens Tears”, and the History Museum in Mary. 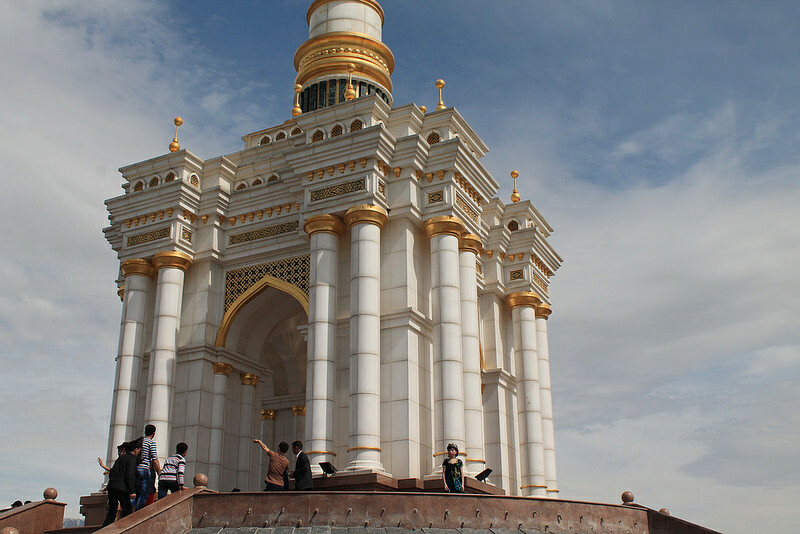 Later we will head back to the airport and catch our evening flight back to Ashgabat. 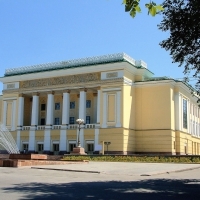 Overnight at the Ak Altyn Hotel / Grand Turkmen or similar. 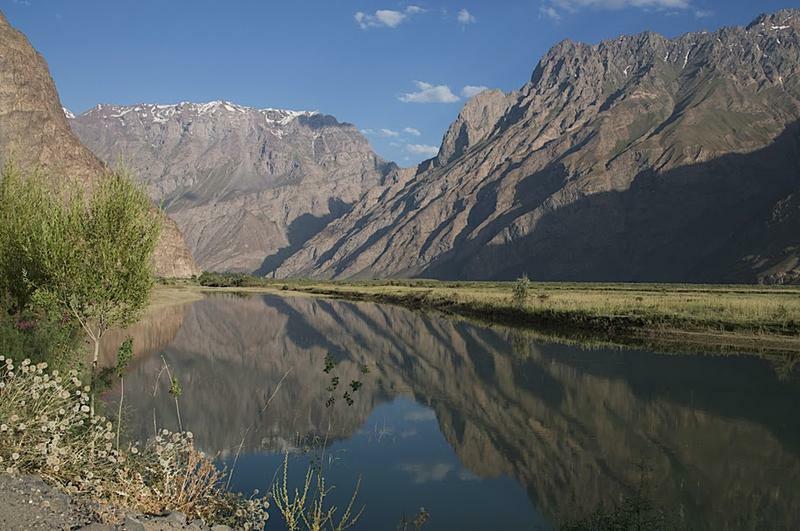 Today on our Central Asia tour, we will venture just over 60 miles into the countryside to hidden wonders of Kow Ata underground lake near Bakharly town (former Bakharden). 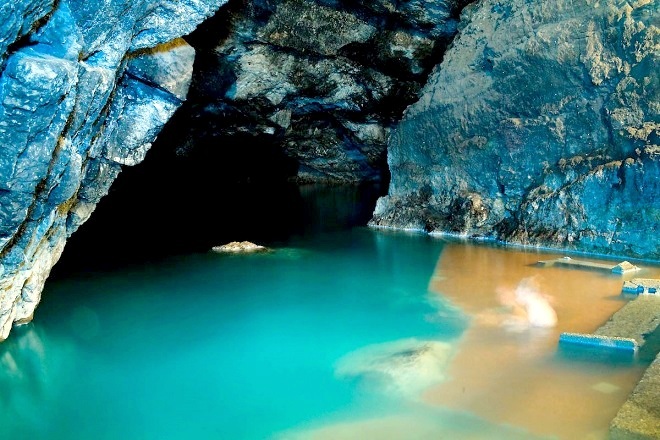 Located some 200 feet (60 meters) underground doubles as home to the largest known colony of bats in Central Asia and is complete with a subterranean lake that we can enjoy a swim in. The darkened (but safe) swim in these thermal waters (+30C degrees all-year-round) is heightened by the sound of bats circling overhead — certain to be yet another unforgettable moment and a fitting end to this trip. 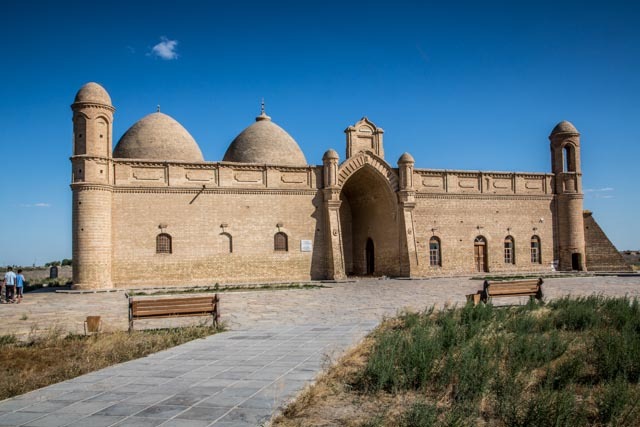 En-route back to Ashgabat, we will stop in Gökdepe where we will visit includes the remains of the 19th century fortress of Gökdepe and the supreme, Saparmurat Hajji Mosque. Later we will make the short drive back to Ashgabat for our final farewell dinner. Overnight at the Ak Altyn Hotel / Grand Turkmen or similar. We will say goodbye to the beautiful Stans’ and head to the airport for your onward connections.